There is a bit of a strange story to this one. Tritonus were actually formed way back in 1990 by guitarist Carl August Tidemann, but as a band they only lasted about twelve months until they broke up with the members then splitting off into various other projects. A year or so later a new Thrash Metal act were looking for another guitarist to complete their line-up, when in walked Tidemann, whose musicianship and song writing skills impressed this group so much, that they asked him to join them to help form a new act. Tidemann wasn't really a Thrash fan (his influences being more in the line of Queensryche, Dream Theater and Yngwie Malmsteen) and he soon changed the direction of the band's sound and also added a singer called Rolf Kristensen to the mix. This new group then set about writing, touring and preparing to record their debut album. For some reason, maybe due to the numerous line-up changes or studio delays, their album 'Prison Of Light' wasn't recorded during the 1990s but instead took over twelve years to put down in the studio and it wasn't until 2006 that it was finally finished. Even then, for another strange reason, the album never got its intended release; until now that is. 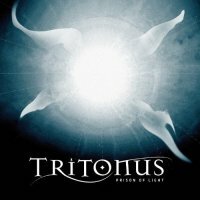 Finally in late 2013, Tritonus have at long last managed to release their debut album for public perusal and pleasure. It worth noting that it has been released in its original form with no re-mix or re-mastering work; despite this it still stands up and holds its own technically with most Prog Metal released today and that is the truly the highest of compliments. 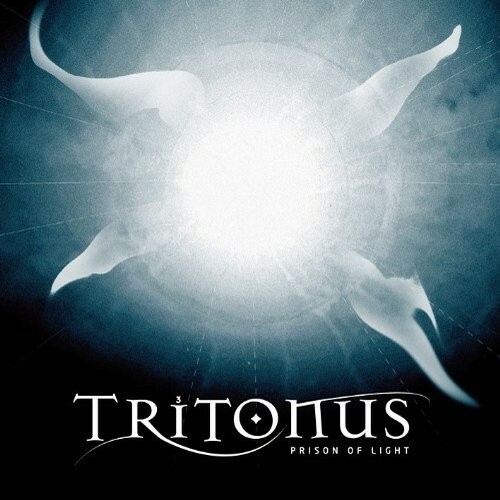 The fact that Tritonus sound like a cross between Pagan's Mind, Circus Maximus and Cloudscape doesn't hurt either. For proof give 'Demons', 'Blindfolded' the wonderful 'Ten Thousand Years', 'Castle Of Light' or the ten minute epic 'The Quantum And The Lotus' a spin and wonder why a band of such quality never got the break they and this album deserved. If you're a fan of any of the acts I mentioned above, then you will get a massive buzz from this album because the songs, musicianship (especially the guitars of Tidemann and his co-conspirator Thor-Axel Eriksen whose other act is reviewed elsewhere) and production make you scratch your head and wonder, why it took almost twenty years to get this album out to the Rock music loving world.